Bassenthwaite village and the lake lie is close to Keswick and the majestic Skiddaw. The area around Bassenthwaite provides a good range of self catering holiday accommodation. Please browse the selection of self-catering holiday properties below. Click the links for more details on individual cottages. Alternatively browse the nearby areas for other holiday cottage accommodation. Nearby towns and villages include Keswick and Cockermouth. 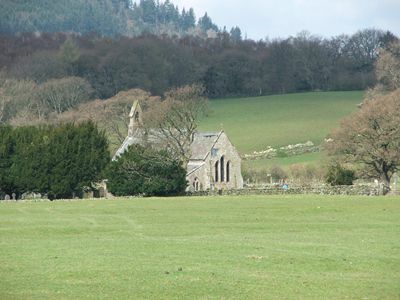 Brook House Cottages,holiday cottages in Bassenthwaite Cumbria,the Lake District. This Bassenthwaite self catering cottage sleeps 10 people. Two bedrooms, one double and one twin bedded plus one bathroom, (which features a free standing cast iron bath). Great location. A small, friendly holiday park set in an idyllic location on the shores of the delightful Bassenthwaite lake in the heart of the Lake District National Park. Located in a secluded spot in the Bassenthwaite meadowlands below Skiddaw and just seven miles from Keswick. Lakeland stone farmhouse. 2 cottages situated on a Lakeland Hill Farm in a tranquil location at the foot of Skiddaw, near picturesque Bassenthwaite village. 4 star rated.